Artist talk with Ilka Becker as part of the exhibition "Respawn"
"The Mycological Twist" is a project by Anne de Boer and Eloïse Bonneviot developed in 2014 in "Jupiter Woods"' garden, a gallery located in South London. It operates as a space functioning both as an extension of the exhibition space, and as a place to investigate the cycle of deterioration and regeneration happening in zones of "Dark Ecology". The underlying structure of the programme of "The Mycological Twist" - a term coined by Paul Stamets-trails patterns and behaviour that can be seen on the processes of the garden, following moments of inoculation, growth and harvest. Together with Ilka Becker who is currently working on mycological motifs and metaphors in art and the visual cultures of the 19th and 20th century, they introduce their multi-layered project that also provides the frame for their film "Respawn". Anne de Boer (born 1987 in Enschede, The Netherlands) and Eloïse Bonneviot (born 1986 in Paris) live in London and are guest teachers at Rietveld Academie, Amsterdam. 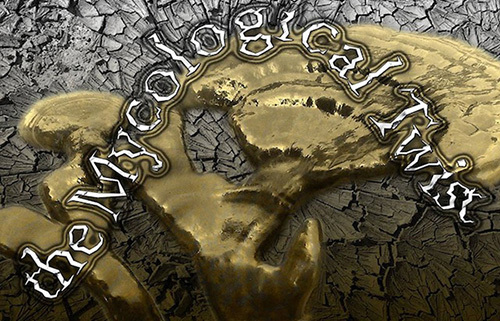 Collective projects since 2012: "The Mycological Twist" and "HARD-CORE". Ilka Becker is based in Cologne and is a professor and researcher at the department of Aesthetics and Art History and at the Postgraduate Programme "The Photographic Dispositive" at HBK Braunschweig University of Art.